Marta Silerio is a member of the Morgan Health Connectors, an advocacy group for immigrant and refugee women in Fort Morgan. Martha Silerio is originally from Mexico, but she has lived in Fort Morgan for 30 years. Four months ago, she joined the Morgan Health Connectors. "For me it was important to act as a voice in support of people's access to medical services, because I think that we should all have our medical services covered," she said. KUNC's Stephanie Daniel looks at how proposed changes to a U.S. immigration law is already having a negative impact on communities in Colorado. The Morgan Health Connectors are a group of about 12 immigrant and refugee women who advocate for the health of their community. Created last fall by the Center for Health Progress, they're led by community activist and Fort Morgan resident Erika Serrano. Erika Serrano is a community organizer with the Center for Health Progress and runs the Morgan Health Connectors, an advocacy group for immigrant and refugee women in Fort Morgan. 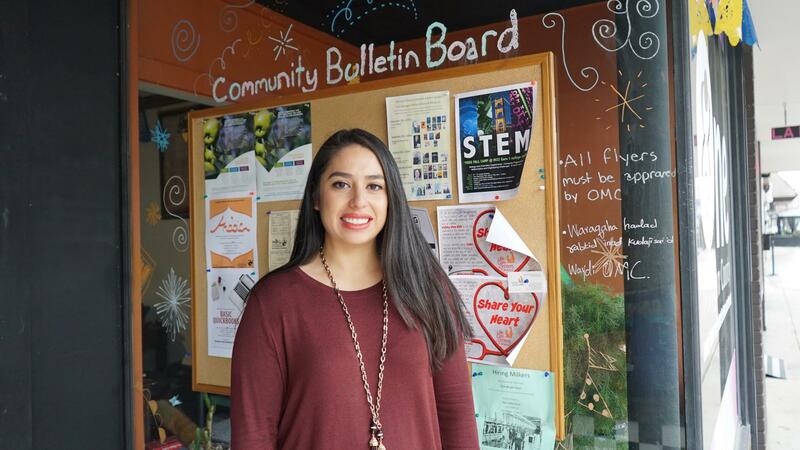 "My role is to guide and facilitate their leadership so that they share their voice, their needs, and they're empowered to take action," said Serrano. The women learn about issues like sexual assault, health care policy and medical insurance so they can be knowledgeable advocates within their community. Right now, their focus is on the proposed changes to public charge. On Oct. 10 the Department of Homeland Security announced a proposed change to U.S. immigration policy in a rule change notice called "Inadmissibility on Public Charge Grounds". "Under long-standing federal law, those seeking to immigrate to the United States must show they can support themselves financially." Public charge is one of the oldest parts of American immigration policy, dating back to the mid-1600’s. Someone who is deemed likely to be a public charge means they are likely to use government assistance programs, like Supplemental Security Income or Medicaid-supported nursing home care. A person's likeliness of becoming a public charge is based on several different factors, including the person's current financial status, age, health and job skills. If an immigrant is determined likely to become a public charge, they could be denied entry into the U.S., be unable to change visa status, obtain a green card or become a lawful permanent resident. "Under long-standing federal law, those seeking to immigrate to the United States must show they can support themselves financially," said a statement from Kirstjen Nielsen, secretary of Homeland Security. "The Department takes seriously its responsibility to be transparent in its rulemaking and is welcoming public comment on the proposed rule. This proposed rule will implement a law passed by Congress intended to promote immigrant self-sufficiency and protect finite resources by ensuring that they are not likely to become burdens on American taxpayers." The proposed changes to the public charge test would affect how often the test is applied, the threshold of public charge and specific rules regarding income levels. The new regulations would also expand the list of public benefits that are included in the test. The current law only applies to immigrants of a certain status and of those, ones who have long-term medical care or need cash assistance for most of their financial support. The proposed rule would add non-emergency Medicaid, Medicaid Part D Low Income Subsidy, the Supplemental Nutrition Assistance Program, also known as SNAP, and housing assistance to the list for consideration. "This administration makes no bones about the fact they are not receptive to immigrants," said Violeta Chapin, clinical professor of law at the University of Colorado Law School in Boulder. "I think in general and they certainly don't want poor immigrants to come to the United States." While the proposed changes haven't taken effect, immigrants in Colorado fear that using public benefits could affect their status. Sunrise Community Health operates ten clinics in Evans, Greeley and Loveland, mainly serving low-income families. So far around 50 patients have either refused to apply for or discontinued their insurance through the Health First Exchange due to the proposed changes. About 90 percent of those are families with children. 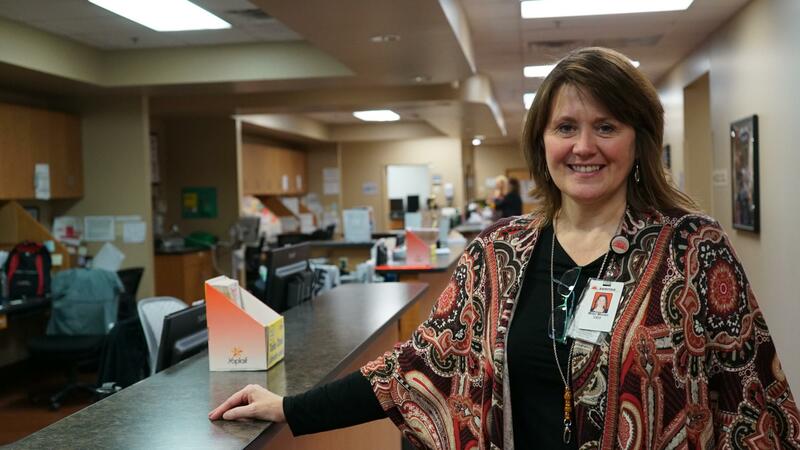 Mitzi Moran is the CEO of Sunrise Community Health which operates 10 clinics in Weld and Larimer counties. Mitzi Moran, CEO of Sunrise Community Health, said the proposed changes are very complex and people don't understand them. "(They) have refused to sign their children up — their eligible children, their citizen children — up for benefits for fear that it will impact a family member's ability to become a citizen," she said. Immigrants disenrolling from public benefits — or skipping them entirely — has effects not only on the individual person, but on their family and community as well in what's known as the "chilling effect". Back in Fort Morgan, Martha Silerio has heard similar stories to Moran's from the community's residents, especially in her role as a translator with the Morgan County School District. "People who are hoping to become residents now have these fears," she said. "The odds are further stacked against them to get their documents and become legal residents." The Morgan Health Connectors have hosted several events encouraging the immigrant population in Fort Morgan to speak up and submit a comment against the changes. "People have to choose between being able to access public benefits for their basic needs or leaving those needs or those benefits to continue their pathway towards citizenship," said Serrano. "That is why it's important to take action." The proposed changes must go through a 60-day public comment period before they can take effect. That period ends on Monday, Dec. 10. The Department of Homeland Security then has to review and consider every comment before issuing a final rule. Editor's Note: Mitzi Moran serves on the Community Radio for Northern Colorado board. KUNC maintains a strict firewall around the newsroom and coverage decisions are solely at the discretion of the editorial team.